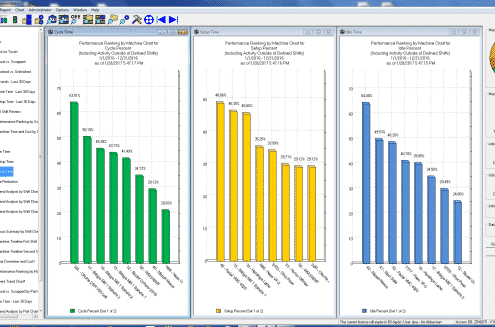 Looking for machine data charts & reports to display machine data? MDC has 25,000+ to get you started! 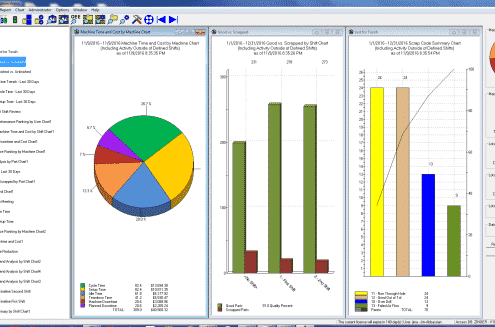 Over 25,000 reports and charts provide unique insight into the productivity and efficiency of each manufacturer. 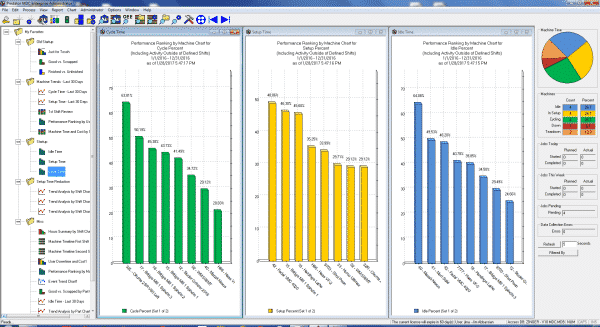 The flexibility of the reporting and charting options within Predator MDC converts the volume of data collected into concise reports and charts to identify issues and drive improved productivity. 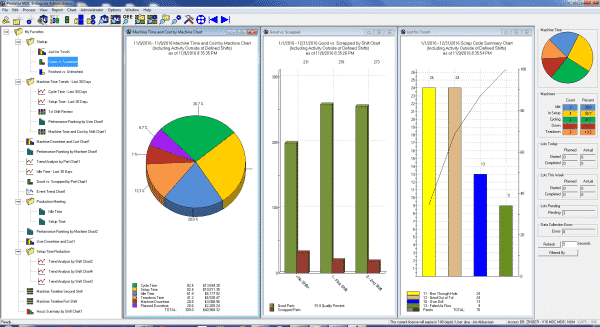 NOTE: Custom reports and charts can be created with Crystal Reports, Microsoft Access, SQL Reports and Oracle Reports.